Magical and so pretty! Love all that green and cute image too. 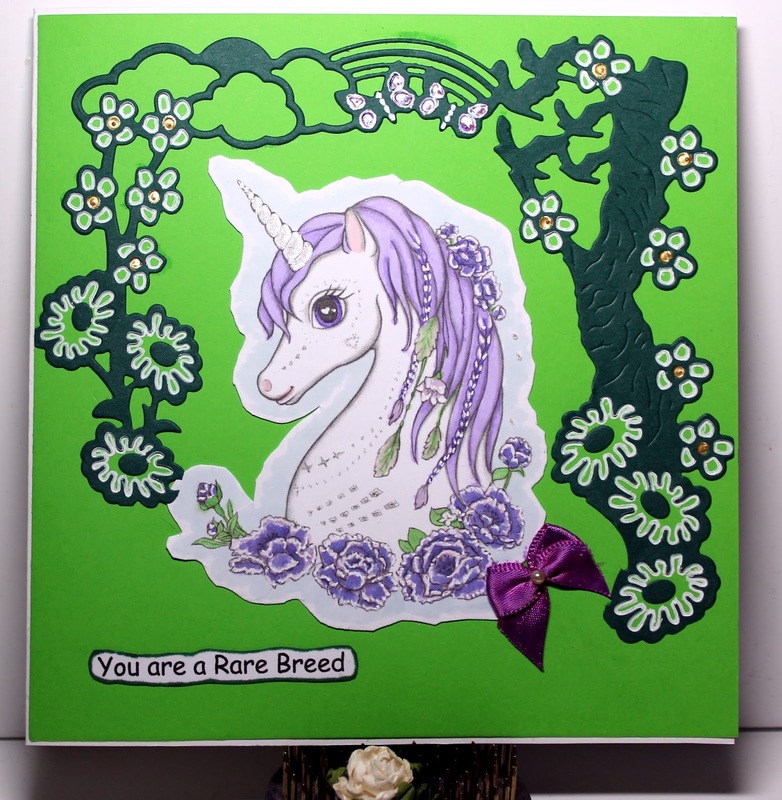 Such a beautiful image....and one of the prettiest unicorn cards I've seen! It just glows with a mystic feel. So happy you shared this with us at PIP Challenges! Stunning card, what a fab Unicorn and with the frame makes it extra special. Very pretty and fabulous image! Thank you fo rjoining our challenge at The sisterhood! Your Grandaughter will love her unicorn. Goes really well with the framework and the colour. Thankyou for coming and spinning the butterfly wheel for this celebration challenge. Hugs Mrs A. So beautifully done, loving the image! Thank you so much for sharing this month at my Crafty Wednesday challenge where it's all about girls and ladies! So cute and so glad you shared over at Aud Sentiments.